If you are a distributor/seller of alcohol, you must have a valid license or permit from the Texas Alcoholic Beverage Commission (TABC). 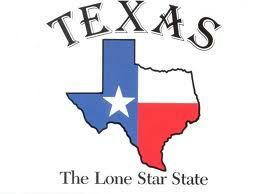 This license or permit is required to sell alcohol in Texas and is only available through the TABC. The TABC recommends (but does not require) that all servers of alcohol get a TABC approved server certification. This includes training in Responsible Serving® of Alcohol which covers topics such as checking IDs and reducing drunk driving (intervention techniques). On this site, you can purchase a TABC approved certification course for $8.99. Some employers require all their servers to have a certification, but it is not required by the state. 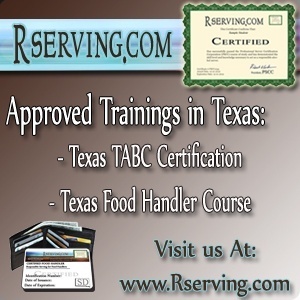 Take our Texas Responsible Serving® (Texas TABC seller/server certification) course to get your Texas Responsible Serving® of Alcohol Certification to sell and serve alcohol. PSCC offers a FREE Employer account to employers to help their employees obtain their Texas TABC bartender / Responsible Serving® certification. The FREE Employer account allows employers to monitor the progress of their employees as they move through the Texas TABC bartender Certification (Responsible Serving®) course. Employers are able to print or archive the certificate of his/her employees once they have successfully completed the Texas TABC bartender certification (Responsible Serving®) course. Click here to find out more about the FREE Employer account. Order your "Texas Responsible Serving® Course"
Click Here to view state requirements in other states.